Well it’s not even December and I’ve finished my first Christmas card!! It’s for Hels Sunday Stamper challenge 182 with the theme of STARS. I’ve used a Darkroom Door Word Block stamp for the background – Thyme Brilliance and then embossed with gold round the edge. 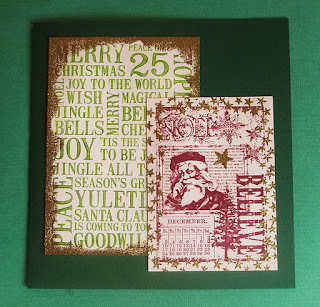 The smaller stamp is Tim Holtz’s of course stamped in Plum Archival and with a gold star embossed border. Having stuck it down I decided it looks a little plain so the next card off the production line with have some Christmassy ribbon lavished upon it!! Thought I’d get this done in November so that I’m all prepared for Tim’s 12 tags starting tomorrow – not sure if it’s then or Friday depending on the time difference. May have to contain my excitement a little longer!! 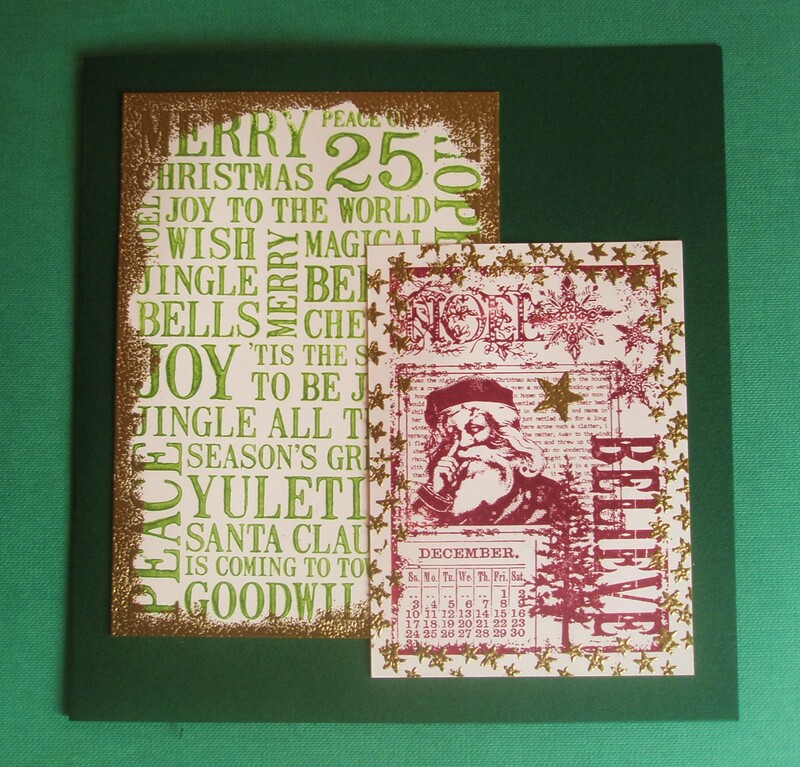 great start Elaine, I rarely make two cards the same the second one always gets changed just a bit.